.......has a Celebnel! 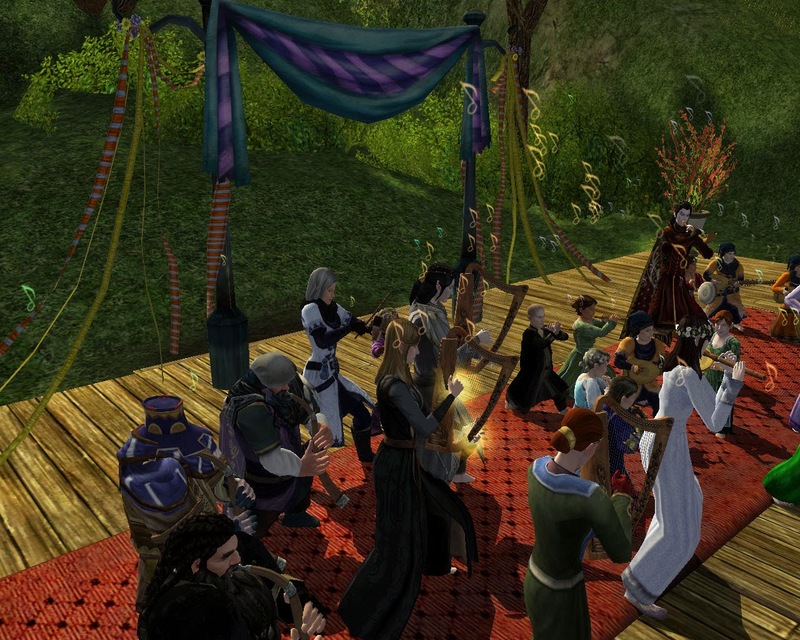 I've done what I've been threatening to do for several months and joined a music group in LotRO. And what a music group. Wheee! The amazing Lilikate is the brains behind the orchestra, a 24-player group which performs concerts of (mostly) well-known classical pieces. I took Celebnel to her first rehearsal on Saturday and we played four pieces, including the wonderful Fellowship of the Ring medley, similar to what we heard them play at the Storyteller's Festival in September last year. The chatter in Raid was fun and friendly and not once did I feel like I was the annoying, clueless newbie in the corner. Maybe because I wasn't in a corner. But they do seem to be a very helpful and patient bunch. I'm so looking forward to more rehearsals and actual performances with these guys later in the year. 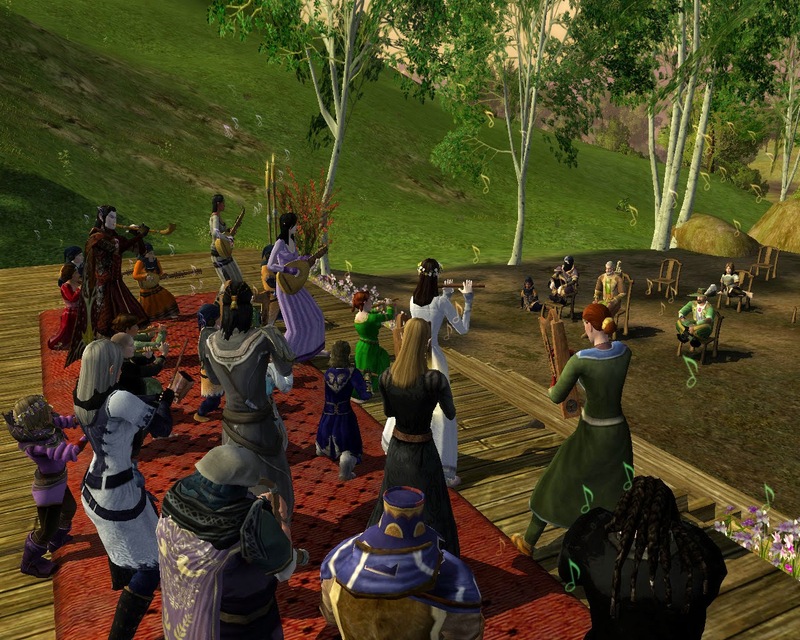 A concert on Gladden has even been whispered about, so maybe Arae will be able to take part in this one! It's exciting after nearly 2 1/2 years in the game to be experiencing a brand new element of it. I think this is going to be really special. One more thing! The Starlight Orchestra is still recruiting for this year! Go forth/come hither and join!